^^ I was SO excited when I saw the T3 blow dryer was on the sale!! I got it about 6 months ago and use it multiple times a week to dry my hair! T3 doesn’t do sales often so nows the perfect time to get it! It works as good as it looks! Seriously though! My robe is also on sale! ^^ I buy a few new bottles of Kiehl’s lotion every year at the sale. Stocking up for the year! I use Kiehl’s all over my body every night before I go to bed! I love it because there’s no fragrance in it. I use it on my babies too. Oh, the Tory Burch perfume is on sale too! It’s been one of my staple scents for years! 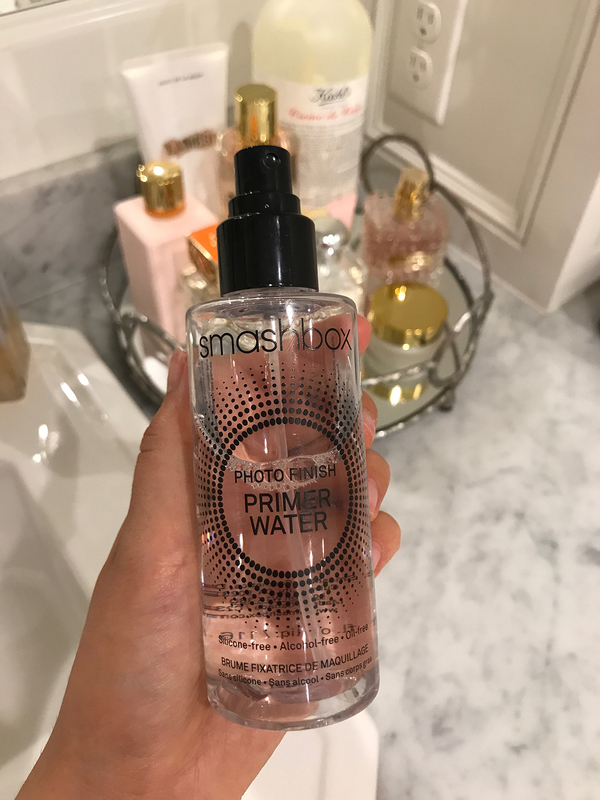 ^^ I saw that the Smashbox Photo Primer Water was on sale too so I wanted to let you all know! I use this stuff everyday after I’m finished putting my makeup on. It sets everything and gives me a pretty glow. Also good for a refresher too! 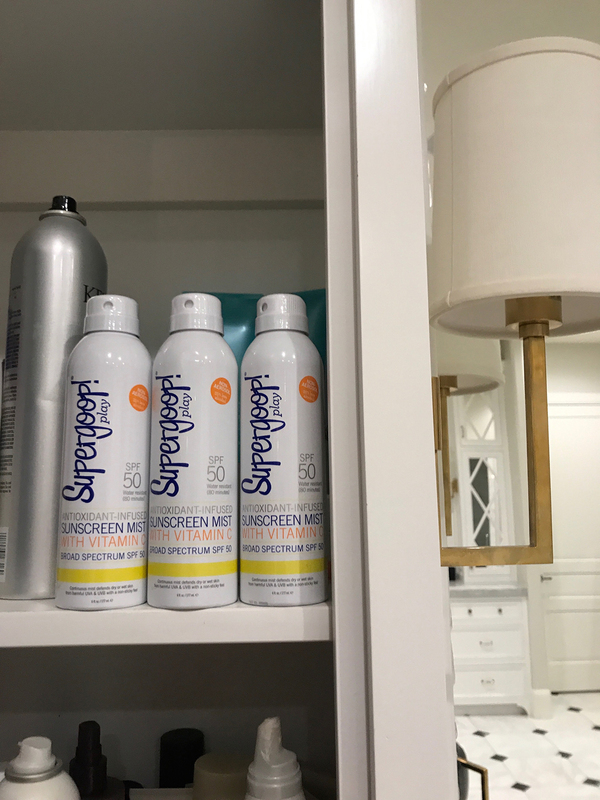 ^^ I stocked up on more Supergoop! sunscreen!! This stuff is my favorite and I’ve been using it all summer long so when I saw it was on the sale I got more!! ^^ Stila Liquid Liner is my go-to liner. I can’t live without it. It’s the only liner I can use that won’t smudge. I saw it was apart of the sale with a lip stain so I got more since my other liner was almost gone! Score! The lip color is super pretty too! 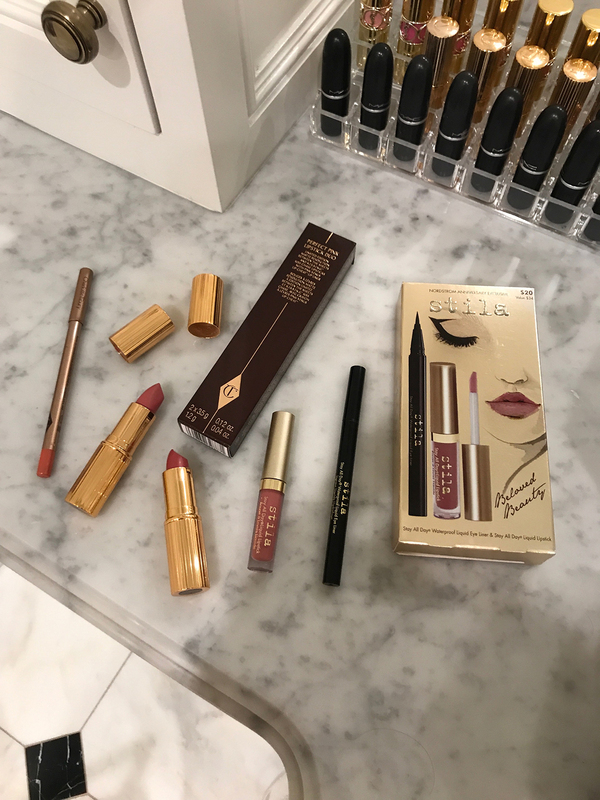 And I’m a sucker for Charlotte Tilbury lipstick so I grabbed a few new shades to try on the sale as well. Happy Wednesday, everyone!! 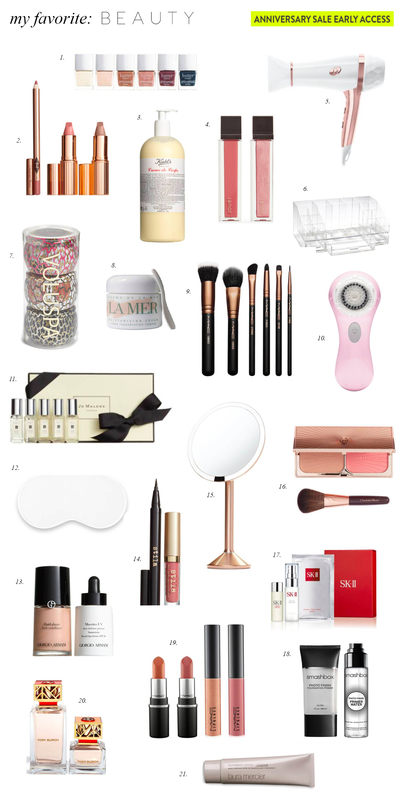 Earlier this week I posted a bunch of my favorites from the Nordstrom Anniversary Sale (you can read the full post here), but I wanted to save my beauty picks for today because we all know beauty deserves it’s own post on it’s own day!!! This sale is the best time to stock up on your favorite beauty products and try out some new ones! Click here to start shopping all of the beauty exclusives at the Nordstrom. Thanks so much for stopping by!! Loving all these beauty products that are on sale! I really want to try the t3 dryer! You have so many great beauty products! I am in love with many of them! I have loved Kiehl’s for years but have never tried this lotion. My fav is the hand salve which is on sale and I have stocked up on. The sale this year is just too good!! Coveting that liner! I’ve always wanted to try Stila products. 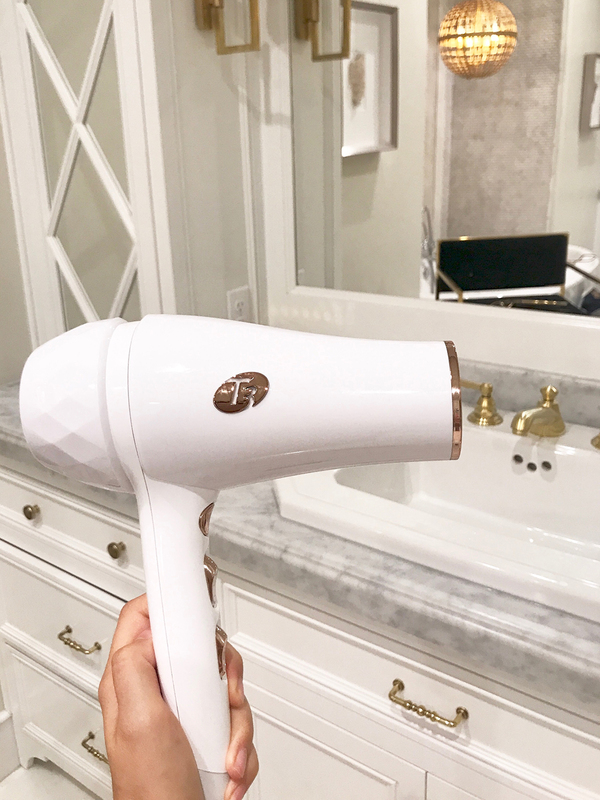 I have the travel version of the T3 dryer and it’s SO GOOD! Rach – you are just awesome! Thank you so much for sharing! This is such a useful post! Your taste and style are AMAZING, and you have a beautiful family! I look forward to start my day with your sweet, happy, stylish and adorable posts to my inbox every day. You are a light, God bless you and your sweet family! I love the Stila eyeliner as well…doesn’t budge all day! So many good recs! I was hoping someone would do a beauty favorites! SO glad you did. Going to have to grab some Charlotte Tiblury goodies and that robe! 3,8, 13 and 16 have been on my holy grail list since forever! Great Nordstrom sale picks! can you tell me where the light above your tub is from? Love! 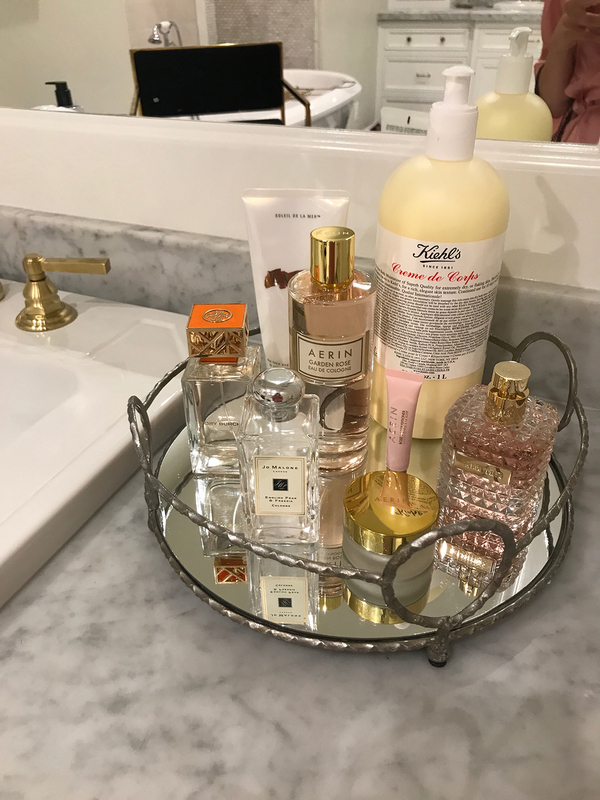 I am obsessed with the beauty products at the Nordstrom Sale! So excited to try the Charlotte Tilbury lipsticks. And can we talk about your restroom??! Goals! First, the robe you are wearing is stunning! Second, I love my T3 blow dryer. I have it in the travel size, but I would love to have it in the full size. I am also totally get my hands on that giant bottle of lotion! I love stilla eyeliner! Still my favorite one to use so far! Thanks for the share, will have to check out these products! I need the STILA set! 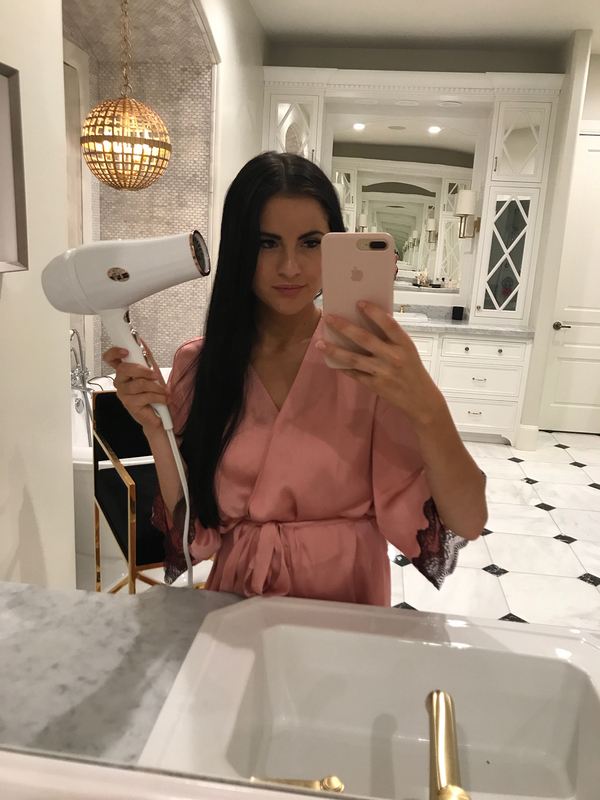 I love this blow dryer also, super exciting that it is on sale. I got the T3 hairdryer last year and only used it once lol! i have short curly hair and usually let it air dry, but such good finds. Oh no!!! Mine has literally never smudged! What is The curling iron you use called? The one with all the Heads you switch?? I love your blog! Super cute styling. I love that some of the products you suggested are things i haven’t tried before. I’ll definitely need to check them out! If you want to try a super smudge-proof liner that will only come off with the best eye makeup remover, try the Mac liquidlast liner. It’s my go-to liner when I need my makeup to not budge all day.